РЕГІОНЕТ :: Восьмий номер журналу "СТРАТЕГІЯ РОЗВИТКУ"
Восьмий номер журналу "СТРАТЕГІЯ РОЗВИТКУ"
Головна ↳Часопис ↳Восьмий номер журналу "СТРАТЕГІЯ РОЗВИТКУ"
The conference «Sectoral Dialogue – Current Problems of Regional Development» was the main result of the work of the Inter-Service Commission for Regional Development during the beginning of 2018. Top managers from both the central and regional authorities took part in this conference. They considered the issues of the implementation of the State Policy for Regional Development, methods of human capital development, the improvement of the investment climate, and the development of rural areas. Ukraine subscribed to the Global Sustainable Development Goals for 2030, which were adopted at the 70th session of the UN General Assembly. 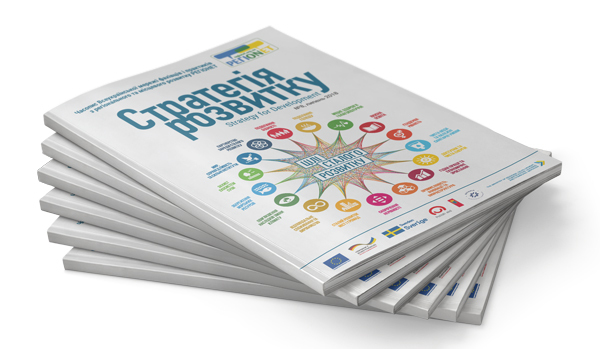 In the National Report «Sustainable Development Goals: Ukraine» specific monitoring metrics and indicators have been identified for each of the 17 objectives, with targets to be achieved by 2020, 2025 and 2030. These indicators should now be reflected in the updated strategies of regional development for all the regions of Ukraine. Today one of Ukraine’s most important tasks is to introduce best practices in organizing the work of regional development agencies. It is these institutions that can ensure the optimal combination of the interests of the private sector with state, regional and local initiatives within a particular territory. The key task of Ukrainian regional development agencies should be the qualitative coordination of the processes of strategic planning and the development and implementation of regional development projects with the involvement of a wide range of partners. Decentralization in Ukraine not only opens up new opportunities for local self-government bodies, it also creates the conditions for the revision of the existing paradigm of rural development. The examples cited in this article confirm that the established amalgamated hormadas have begun to operate in accordance with the principles that are used in the European Union: they are engaged in diversifying employment, developing infrastructure, and developing social capital through new knowledge and skills. Despite the fact that there is no integrated and formalized EU strategy for mountainous territories, the EU legal and regulatory framework recognizes that mountainous areas require special attention and support. The reason for this is the relatively low level of accessibility and the permanent natural and demographic restrictions, which relate primarily to agriculture. The EU understands that to solve demographic, economic and environmental problems in mountainous areas, more integrated approaches and the coordination of inter-sectoral policies are needed. The Baranivska Amalgamated Hromada ensured the simultaneous and mutually agreed upon development of a strategy for economic development and a planning scheme for its territory. Because of this, the design solutions of the territorial planning scheme reflect the strategic and operational goals defined in the Baranivska AH Development Strategy in the areas of: the formation of a system of transport infrastructure, engineering training and improvement, the protection of the territory from hazardous natural and man-made disasters, environmental protection, and the protection of heritage and cultural monuments. The Ukrainian Association of District and Regional Councils together with representatives of the Ministry of Regional Development and the Regional Development in Policy and Action Team, U-LEAD with Europe Programme held a teleconference with the chairmen of the regional councils on «Planning, Financing, and Institutional Support for Regional Development». The participants discussed a systematic approach to the implementation of the state regional policy, the results of monitoring of the use of the funds of the State Fund for Regional Development in 2015-2017, and the importance of organizing the work of regional development agencies in all regions of Ukraine. The Poltava Region has demonstrated significant progress in introducing mechanisms of inter-municipal cooperation. Over the three years of the implementation of the Law of Ukraine «On the Cooperation of Communities» the region has become a leader. 58 of the 181 registered cooperation agreements in Ukraine are operating in the Poltava region. The purpose of these agreements is to improve the quality of services in the spheres of solid waste management, fire protection, road repair, improving medical and educational services, solving transport problems, and developing tourism. On May 4, 2018 a Memorandum of Understanding was signed in Vinnitsa with the corporation «HEAD», the world leader in the manufacture of winter sports equipment. This company’s investment in the city was facilitated by the adoption by the Vinnytsia City Council of the Program for the Promotion of Investment in Vinnitsa for the years 2018-2020, the creation of the Vinnytsia Industrial Park, as well as the active cooperation of international technical assistance programs and the Office of Investments Involvement and Support: UkraineInvest. The regional development agency of the Ivano-Frankivsk Region concentrated its activities on projects in the spheres of cultural and creative industries. The example being imitated was that of the EU countries, in which creative initiatives develop faster than in traditional production or services, while creative industries also demonstrate higher rates of job creation – particularly for young people. Therefore, the Regional Development Agency of Ivano-Frankivsk Region has established a division of the «Film comission», which is engaged in determining locations suitable for shooting films and the formation of teams of specialists in the field of video production. The Hlybotska Amalgamated Hromada project «Different Communities – Common Solutions for Economic Growth» was the winner in a competition held by the EU project «Mayors for Economic Growth» – M4EG. Its implementation includes support for the creation of cooperatives and the organization of a Center for the Economic Growth of Communities, which will promote the development of small and medium-sized businesses, reduce unemployment and the migration of the able-bodied population to other regions and countries, and rally people in support of the social and economic development of the community. 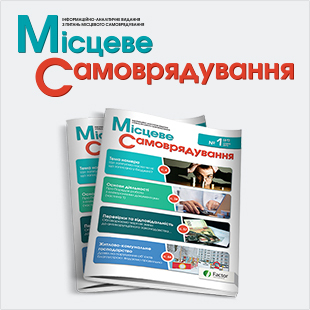 The project «Cooperation for Improving Competitiveness in the Agro-Industrial Sector and improving the Diversification of the Local Economy of the Dolyna Subregion» in the city of Dolyna, Ivano-Frankivsk Oblast, was the winner in the competition held by the EU Project «Mayors for Economic Growth» – M4EG. The project is aimed at creating prerequisites for the revival of the region's agricultural sector through the introduction of tools for horizontal cooperation. The pilot industries chosen were beekeeping and berry growing, which according to the conducted research demonstrate a high potential for development. The project «Cowboys: Ukrainian Wild West» of the Novomyssk Amalgamated Hormada of the Lviv region was the winner of a competition held by the EU project «Mayors for Economic Growth» – M4EG. The project’s implementation involves support for the creation of a unique tourist product that will be associated with the well-known elements of the culture of the Wild West and at the same time will demonstrate the local culture of the ethnic community of the «boiki». The creation of colorful tourist infrastructure will ensure a significant increase in the flow of tourists and an increase in revenues to the budget of the hromada. The «Apple Path» Cluster» project of the Severinovska Amalgamated Hormada of the Vinnytsia Region was a winner in the competition held by the EU project» Mayors for Economic Growth «- M4EG. Its implementation will make it possible to use the potential of the horticultural industry to increase the production of apples, create a new tourist route, and improve the existing recreational infrastructure in the Severinovska and Barska Amalgamated Hormadas. This will ensure the creation of new jobs in the field of horticulture and tourism. The project of the city of Slavutich titled «Plan for the local economic development of Slavutich – driving the growth of an open and free regional economy» won the competition held by the EU project «Mayors for Economic Growth» – M4EG. Thanks to this, the city plans to create an effective system of cooperation with neighboring territorial communities, develop a plan for local economic development, build institutional mechanisms to support small and medium-sized businesses, create an industrial park, conduct business training, create a financial support fund for start-ups and improve the overall attractiveness of the region to investment. In the Kyiv Region, an agro-industrial cluster has not yet been formed at the regional level. Therefore, residents of the Skvyra District decided to take the initiative and independently begin the formation of an aquaculture cluster through the joint efforts of executive bodies, local governments, private business initiatives, scientists, and international experts. The cluster initiative was launched in April 2018. The core of the cluster is formed by several producers, among which is the LLC «Skvyraplremrybgosp» is one of the six leading Ukrainian enterprises in fish breeding. The regional development agency of the Luhansk Region began its work in September 2016. During this time the agency specialists have developed a concrete vision for sought-after services, but they continue to seek new directions to promote sustainable regional development and projects to increase the competitiveness of the territorial communities of Luhansk. Today the Luhansk Regional Development Agency includes a team of experts, an analytical center, a project office, and a platform for cooperation between government, business and the community! НАВІЩО ОРГАНАМ ВЛАДИ ФІРМОВИЙ СТИЛЬ? WHY SHOULD THE AUTHORITIES HAVE A CORPORATE IDENTITY? Private business has long recognized the importance of branding for a company, but government institutions still rarely show their individuality. At the same time, they must fight for the respect and affection of their clients: the citizens of Ukraine. To do this it is necessary to demonstrate one’s corporate identity, and professionally and purposefully form a recognizable image. This is impossible without a proper communication strategy and modern branding based on the work of professional marketers designers, and PR specialists. The Poltava Region Local Government Development Centre not only conducts training, but also creates conditions for the unification of all regional development specialists in one place. Recently, the Centre together with the All-Ukrainian Network of Experts and Practitioners on Regional and Local Development «REGIONET» held a meeting of the Regional Expert Community of the Poltava Region. Another training event was a training program for specialists in the field of spatial planning and regional development of the Volyn, Zhytomyr, Ivano-Frankivsk, Ternopil and Chernivtsi Local Government Development Centres. Globalization has already changed our world very much, but the new changes that await us in the coming years are difficult to even imagine. Knowledge grows exponentially – not only increasing in volume, but also becoming more complex by several orders of magnitude over every short period of time. This is difficult to perceive by our consciousness which is used to linear growth. Therefore, there is only one answer to the question «What should we learn ourselves and teach our children?» It is necessary to cultivate an ability for continuous learning. This is precisely what the activities of the Ukrainian Association for the Development of Management and Business Education are aimed at. The Ministry of Regional Development, Construction and Housing and Communal Services of Ukraine named the winners of the Regional Development Projects Contest, which can now be realized at the expense of the state budget funds received from the EU. The competition commission reviewed 507 projects that were developed by regional state administrations and central executive authorities and determined the 70 best in five categories: Innovative Economy and Investment, Rural Development, Human Development, Tourism Development, and All-Ukrainian Solidarity. 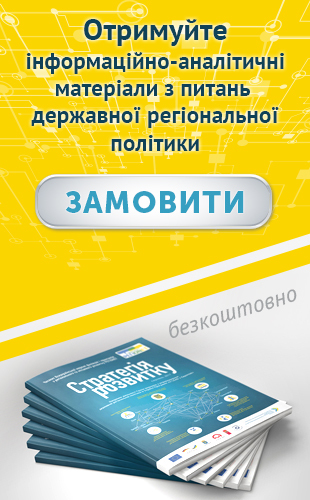 Innolytics Group, in partnership with the international law firm DLA Piper, Singularity University, and Unit City, conducted research on the development of innovations in Ukraine based on international scientific publications, patent databases, and international scientific databases. The patent activity of Ukrainians both in Ukraine and abroad as well as the activity of foreign applicants in Ukraine were investigated using world class tools and databases. The article cites the results of the research, confirming that Ukraine still retains considerable technical potential which is necessary for the successful development of the economy. In 2016, on the initiative of the Kyiv National University of Technologies and Design, the Light Industry Cluster of the City of Kyiv was formed. This was an important step to increase the competitiveness of the region, because the formation of clusters provides a clear understanding of the economic profile of the territory, facilitates the attraction of investments, helps to determine the direction of improving education and promotes research activity, stimulates the development of small business based on the use of advanced technologies, and promotes both the export of products to international markets and the entry of enterprises into a network of strategic interaction.